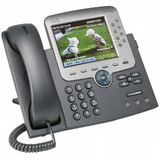 The Cisco Unified IP Phone 7975G is designed to grow with your organization and enhancements to your system capabilities. The dynamic feature set allows the phone to keep pace with your requirements through regular software updates. 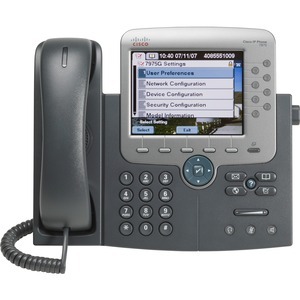 The Cisco Unified IP Phone 7975G, the latest advances in VoIP telephony, including wideband audio support, backlit color touchscreen display, and an integrated Gigabit Ethernet port.